A pilot from Poulton who overloaded a plane causing it to crash with passengers inside has been convicted. On Saturday, September 9, 2017, pilot Robert Murgatroyd, of Windy Harbour Road, charged three men £500 each to take them to see a rare bird on the remote Island of Barra off the coast of north west Scotland. Robert Murgatroyd, 52, of Windy Harbour Road, Poulton-le-Fylde has been convicted after he overloaded a plane before it crashed with three passengers inside. But the men never reached their destination after the plane crashed in farmland minutes after take-off from Barton Airport in Eccles, Greater Manchester. On Wednesday (February 20, 2019), a jury at Manchester Crown Court found the 52-year-old guilty of overloading his Piper PA28 aircraft and endangering the lives of all on board. 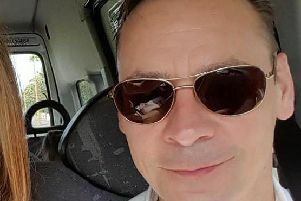 Following his conviction, Lancashire Police said Robert Murgatroyd was a "selfish and greedy man" who "put profit profit above the safety of his passengers". The incident sparked a joint investigation between GMP and the UK Civil Aviation Authority who suspected that the aircraft had been dangerously overloaded. Officers also uncovered that although Murgatroyd held a private pilot’s licence, he was not allowed to run commercial flights and this rendered his insurance void. Investigators also found that the flight manual inside the cockpit was not specific to that particular aircraft. Today (Wednesday, February 20), following a three-week trial at Manchester Crown Square, a jury found Murgatroyd guilty of a number of offences. These include recklessly endangering the safety of an aircraft, flying an aircraft without an air operator certificate, flying without an appropriate licence and flying without the aircraft flight manual. Murgatroyd is due to be sentenced on Friday, March 15.